MBISS Ch. Meisterhaus Politically Correct, SDHR "Pistol"
Pistol has sired top Basenjis in the US and many countries around the world. He has produced Best in Specialty winners, Hound Group Winners and a Best in Show winner. We are happy to have him collected, so that Tim and I can look forward to more big winners in the future, as well as the amazing temperaments that he stamps on his get. Tim and Pistol were an amazing team and again we thank Tim for all that he does and has done for our Basenji kids throughout the years and we are looking forward to many more big winning Basenjis in the future of our friendship / partnership. 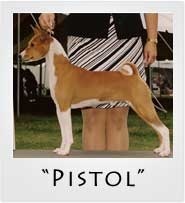 #10 Basenji in the US in breed points and #11 in all breed points, after only 6 months in the ring. 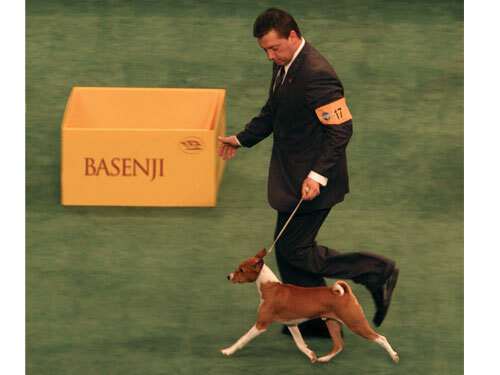 #4 Basenji in the US in all breed points and #8 in breed points. Won his first Best in Specialty. 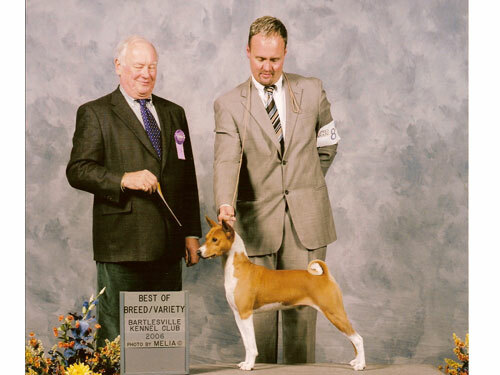 Winner of 3 regional Basenji specialties. Award of Excellence, Eukanuba National Show. 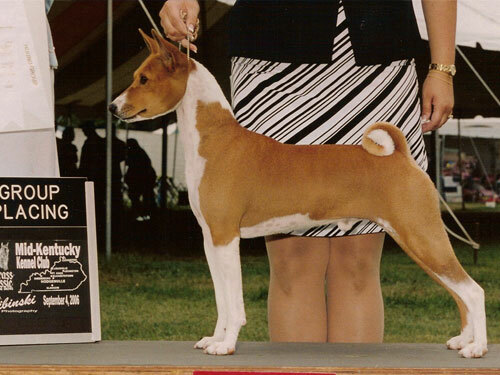 #2 Basenji in the US Breed and All Breed points. Westminster Kennel Club Best of Breed Winner. 2007 Westminster Kennel Club Award of Merit Winner. 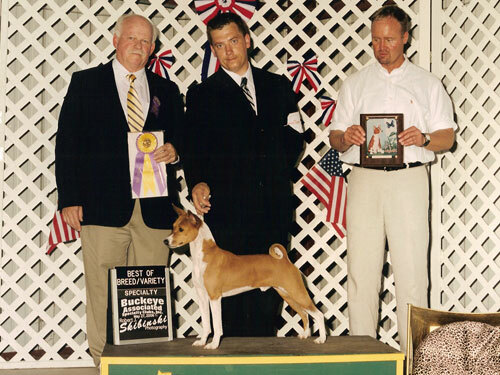 2008 Stud Dog Class winner, at the Basenji Club of America National.